Our Sand Trap Pak features tees and ball markers and allows adding brand logo to create amazing Promotional Logo’d Products. Do you wish to stand out with your promotional campaign? Any marketing message is sure to pop up when printed on the all new attractive Sand Trap Pak! 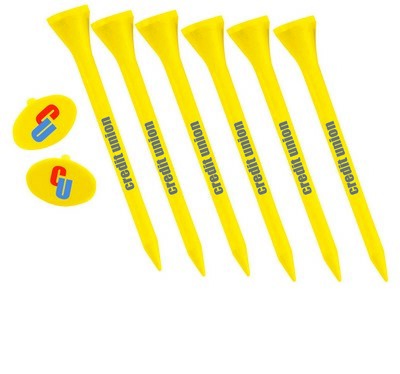 This golf set features 6 imprinted golf tees and 2 printed quarter marks. Wooden tees and plastic made ball markers are sure to last for years to come and keep your brand impression living in your customers’ minds. Each of these items allows printing custom message and company logo for increased brand visibility. Your business will definitely flourish when you use this promoter as your giveaway.